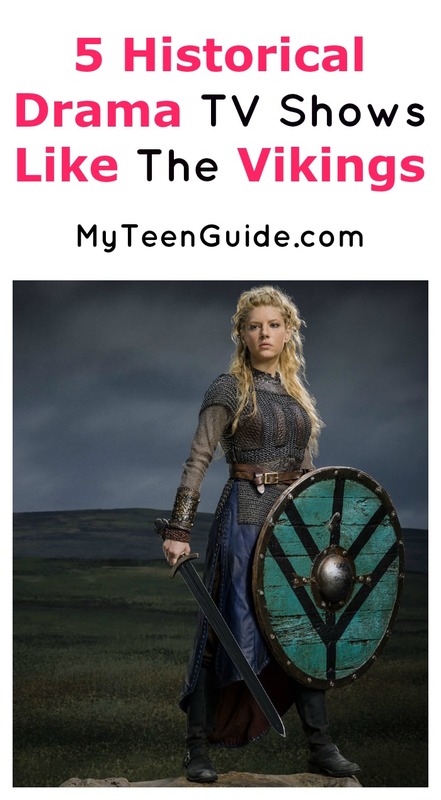 Got a thing for historical drama TV shows like The Vikings? Me too! I love being transported back in time (and sometimes even to other realms) for an up-close and personal look at how things used to be. Kind of makes me appreciate the fact that I live in a time with indoor plumbing and modern medicine! If you’re looking for more shows to watch like this, check out our list! They’re all packed with adventure, drama, and historical references. If you pay close attention, you may even learn something new! Even if you’ve never watched Game of Thrones, chances are you’ve heard of it. It’s just that popular. Based on a series of popular novels, it premiered in April 2011 on HBO. The sixth season recently ended and viewers can expect season seven, to air sometime in 2017. This series actually follows three main plots, simultaneously. There are many different themes and chapters. So many, in fact, that you really have to concentrate to keep up. Each chapter focuses on a single character’s point of view. If you love watching shows about fantasy lands and noble families who are attempting to fight for the throne, the show is definitely for you. If you like shows about pirates, you’ll probably enjoy all of the yo-ho-hoing going on in Black Sails. The series originally aired in January 2014 on free platforms to include YouTube. A week later it was picked up by a cable network. The show is a prequel to the well-known book Treasure Island. It zeros in on the time period twenty years before the book begins. You’ll follow Captain Flint as he and his crewmates search for buried treasure and fight to keep New Providence Island in their grasp and under their control. The more than 20 episodes of Marco Polo get their inspiration from the real-life Marco Polo and his adventures during his years in Kublai Khan’s court. The first season of production cost Netflix almost $90 million. The high cost makes it the second most expensive TV shows ever made, anywhere in the world. The number one spot currently goes to Game of Thrones. For research purposes, the creator of the show (John Fusco) traveled to China, Italy, and Mongolia to gather facts, in order to make the show more true to life. In early 2015, the Mongolian President presented Fucso with an award for positively promoting the history of his country. Calling all historical fiction lovers! You may just want to settle in and learn all about the 15th-century Borgia family. They were powerful. The clan was bloodthirsty. They wanted all… and more. In other words, they were your typical crime family. Much of the three season series follows the lives of the Borgia siblings… Juan, Cesare, Lucrezia and Gioffre. All of them have a problem with sibling rivalry. Some even have addiction issues. The show originally aired in April 2013. A total of 10 episodes were produced. Unfortunately, it was canceled shortly thereafter. Apparently, due to high production expenses. The Last Kingdom is another Viking-related series, which originally debuted on BBC. Netflix recently announced that season two will hit the airwaves sometime in 2017. This plot takes place in the latter part of ninth-century AD, during the time that what we know today as England was divided into seven different kingdoms. In the story line, many kingdoms get attacked and end up being ruled by the Danes. Wessex remains the only kingdom, free of attacks. Will a Dane with Saxon roots be able to save the land his ancestors were so proud of? Tune in to find out. These are five TV shows like The Vikings. If you like pirates, castles, Vikings and historical adventures, all of the shows could very well become your new favorites. Grab your favorite snack, put up your feet and let the binge-watching begin! Do you have any other favorite TV shows like The Vikings? Tell us in the comments so we can check them out!